Racism outside the USA is rampant, interwoven into the fabric of cultures the majority of people believe there is none. I have good intentions, but there is probably too much malice in my heart, I want to change people, and verbally slap them around too often and regret making people justify their actions. Racism is like Lays Potato Chips, you cannot eat a little, or you are tempted to accept the whole bag. "With malice toward none, with charity for all, with firmness in the right as God gives us to see the right, let us strive on to finish the work we are in..."
I was listening to Andrew Carnegies audio book and got stuck with the words "Malace torwards none." The book "How to Win Friends and Influence People." is truly a holy and spiritual book, to, but what is malace?? Look for books that changed my life. 1. desire to inflict injury, harm, or suffering on another, either because of a hostile impulse or out of deep-seated meanness: the malice and spite of a lifelong enemy. 2. Law . evil intent on the part of a person who commits a wrongful act injurious to others. I do not want Gay Marriages, but see no reason to fight against them. "Do not allow that thought to grow, and change." --- I do not watch CNN for more than 10 minutes, or I am allowing crap to grow. "The Average Person Lies Three Times per Ten Minutes of Conversation." -- TV Show "Lie to Me." People are good by nature, they do not proactively do bad things to people, they do not normally walk across the street and hurt their neighbor. Generally, in my estimation, that is the 1 in 500 person. Mockery is the most basic of human interact ons, it is the way the Alpha Male beats down the pups, and keeps people in line. The British do the "Take the Piss" a form of sarcasm and winding people up on the guise of banter. But again, the power of people, the thirst to elevate our status above others is so prevalent, they start with banter, and build up to malace. New this, endless desire to say, I am important. Mockery starts, and 90 percent of the population goes to far, if they are not stopped. Fortunately, the bullies of youth, grow into soft targets as they grow older, and stop the mockery, knowing their brains are too slow. This again is the "Lays Potato Chip Problem." People start, and they cannot stop themselves. "I am powerless or people, places, and thing, and my life is unmanageable." The best management I can do, is to say "No." The more I say no, the more I am in control of my life. --- I strive for more ways to say no daily, to stop eating, to stop hurting, to allow the good to surface in me. Malace toward none, truly cliché, something that makes people warm, Abraham Lincoln was probably a person that thought a word, and could not stop himself, and like the Lays Potato Chips he took the word farther. Malace, do I cause injury? Malace do I cause hurt feeling? Malace, did the other person need to justify themselves? Malace, am I trying to change a person? Malace, if my intentions are good, would anyone ever have their feeling hurt around me? Malace, why do I attack other? Well, you got your first lie in the ten minutes, and we are not even in a conversation, you lie to yourself, it is an addiction. Stopping Gay marriage is a little to do with malace, to stop it causes a few injurious things to happen. To allow does the same to children, but racism, status-cism, and all the other cism need malace to start. I have a problem with Gay people, they want me to approve and nod my head, and give the gentleman's agreement, to stay quiet when they act in a way around me that is malace, they know I do not like. I do not like the culture of the gays, I encourage love. I do not want to hang around with Hip Hop, culture. I do not want to hang around with Dreads and Tatoos. I do not want to hang around with Missionaries, but love to talk with well-schooled priest or highly educated religious people. We have preferences, racism need to take an irrational belief, and somehow try to justify it with rational idea. The local here in Sosua, Dominican Republic treat the Haiti immigrants racist. They systematically, using the police and legal system abuse them for money and profit, and to keep them down in many ways. It is very annoying to listen to the foreigners and expats justify why the police or they can treat them badly, with malace. Writing is a strange thing, it is an effort to change another person, to guide them to jump out of the box, and see the world in another way. I am debating as I type, I want to stop making people to justify their actions. I say something too strong, too opinionated, and they person feel an obligation to protect their stance, even thought I could care less. I do not want to listen to Gay people justify why, I do not listen, I will accept, but if you want to ram something in my face, I see this as malace and will reject. We remember every pain, we hold resentment for the rest of our lives. If it is more than 50 percent true, it is correct, you cannot just take yourself out because you are the idiot exception. 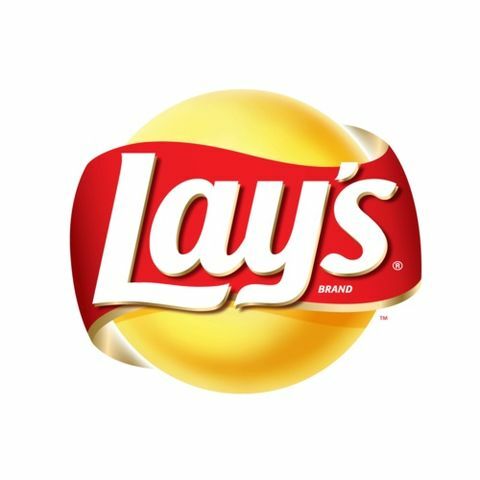 Stopping Gay marriages is just like eating one lays potato chip, when we allow one group to believe they are Superior over another, we have problems. However, the world slowly accepts debauchery, mixed with the Gay, the divorced family, the hip hop, until one day the pendulum swings and hack off heads. The road to salvation is clarity, an obvious good and clear thought, to keep you thoughts simple and take the next step. Confusion is the devil only friend, and God is clarity. Malace toward none, a good goal for the day. Now, if I can stop the idiots from asking me questions, and tempting me to lie. If you ask my opinion, I will tell you the truth, regardless of your feelings. A great way to lose friends, and influence the idiots to move on down the road.